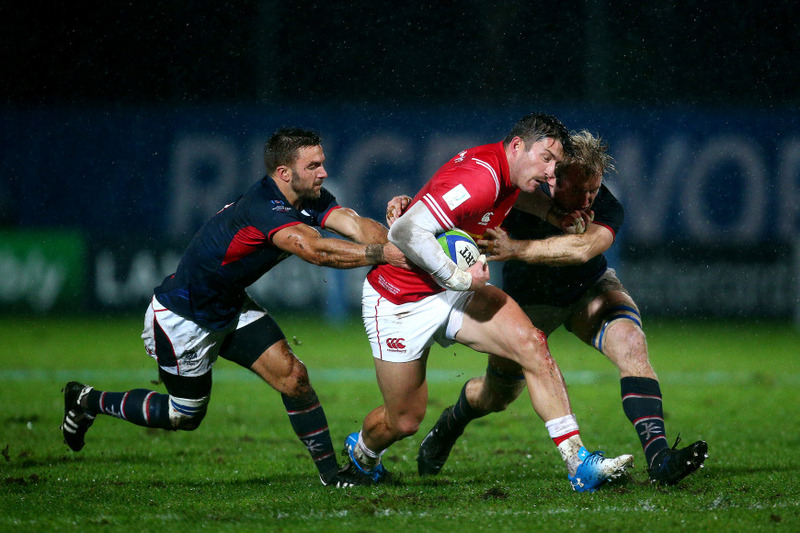 Canada reclaimed its position among the world’s top 20 after beating Hong Kong 27-10 in the final match of the repechage tournament in Marseille. 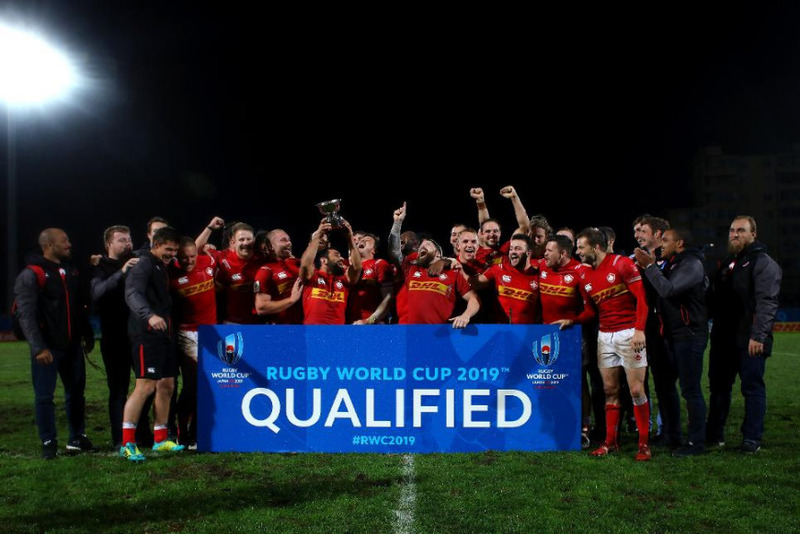 By qualifying for Rugby World Cup 2019, the team preserved their record of having appeared in every Rugby World Cup since the competition’s inception in 1987. 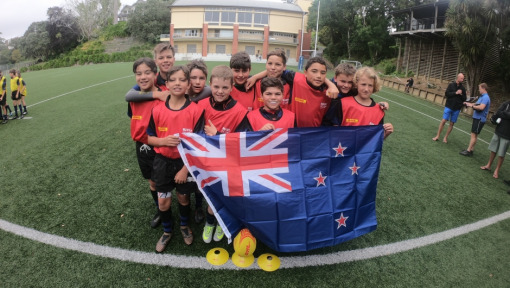 The team takes its place in Pool B alongside defending champions New Zealand, two-time winners South Africa, African qualifiers Namibia, and Italy. Their first match will be against the Azzurri in Fukuoka on September 26, 2019. While Canada was preserving records, Germany was setting them. The tournament’s underdogs strongly rebuked that position with an impressive 26-9 defeat of top seeds Hong Kong on day one. A bonus-point 43-6 victory over Kenya put the Germans in second overall, a result that surprised many and earned the team a lot of respect from rugby players and fans around the world. The final six matches in Marseille marked the end of a long qualification process that started in March 2016. 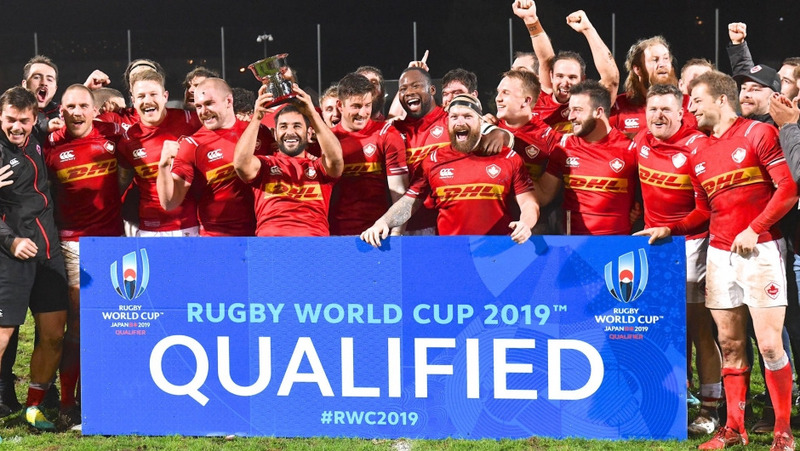 What began with 71 teams dreaming of an RWC 2019 berth ended with only eight teams earning that privilege: USA, Uruguay, Russia, Fiji, Tonga, Samoa, Namibia, and Canada. All told, rugby fans saw 188 matches played across 994 days with 10,355 points scored. The four nations bidding for the 20th and final place at Japan 2019 – Canada, Germany, Hong Kong, and Kenya – had played 34 matches between them to reach the global repechage tournament, Canada playing the fewest with four and Kenya the most with 13. 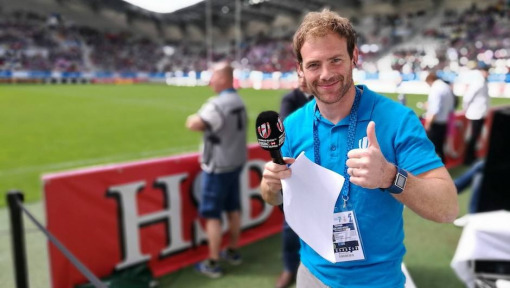 Though the Rugby World Cup 2019 Repechage Tournament offered thrilling moments throughout, the final matches in Marseille delivered some moments to remember. Canada made a winning start to the tournament – an impressive 65-19 win no less that included a whopping 10 tries and a hattrick by winger DTH van der Merwe. The victory was expected, and the bonus point gave the Canadiens an extra boost over Hong Kong. After beating Germany and picking up another bonus point, Hong Kong had the enormous task of needing to beat Canada and score four tries for a bonus point while denying the Canucks a bonus point in losing (by seven or less points). The shocker on day one was Germany’s stunning win over top seeds Hong Kong. 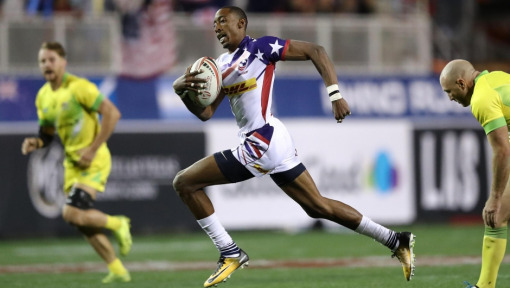 After a 6-6 tie at the half, Germany’s Raynor Parkinson became an instant legend in the second half, kicking three penalties and converting both of his side’s tries in the 26-9 victory. After the win and only two more away from dreamland, the chants of “Deutschland, Deutschland” were unmistakable. 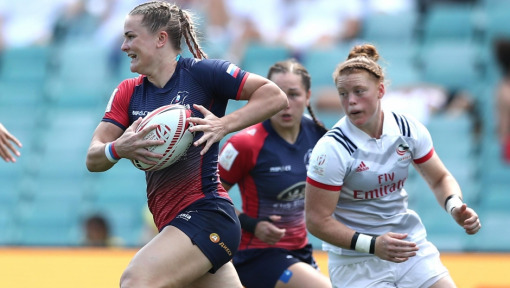 And they were heard once again during the country’s 43-6 win over Kenya to complete the surprise and secure second place in the round-robin tournament. 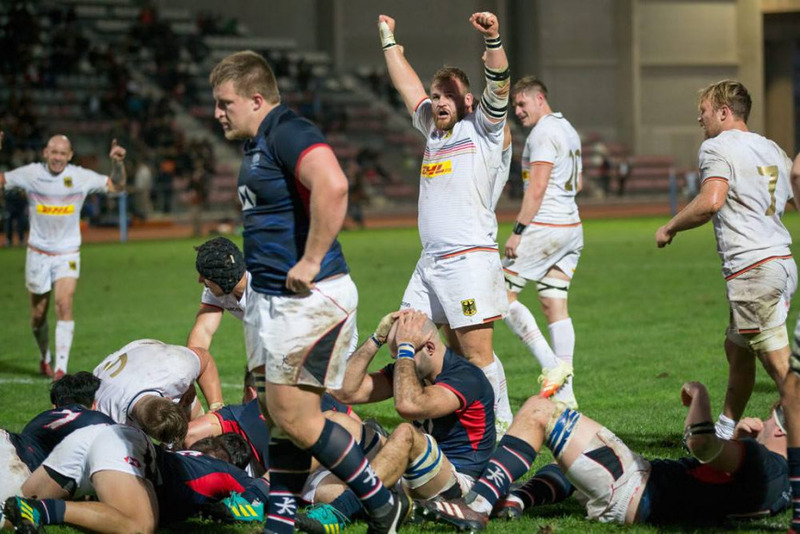 As Canadians from coast to coast celebrate and prepare to cheer their team on in Japan next fall, German rugby fans can revel in a respectable repechage – one that earned them real respect in the rugby world and is certainly one to remember!